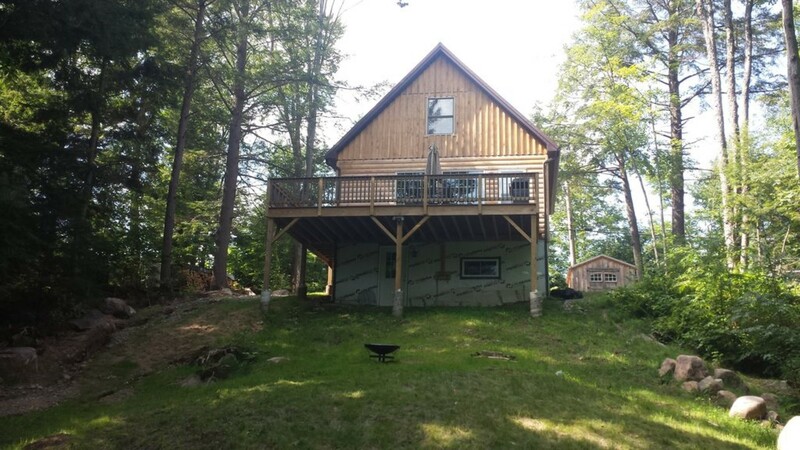 Lovely 4 bedroom home on Cranberry Lake, the third largest lake in New York State. 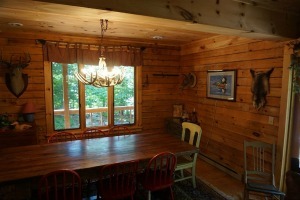 The open kitchen/living room area is ideal for family gatherings. 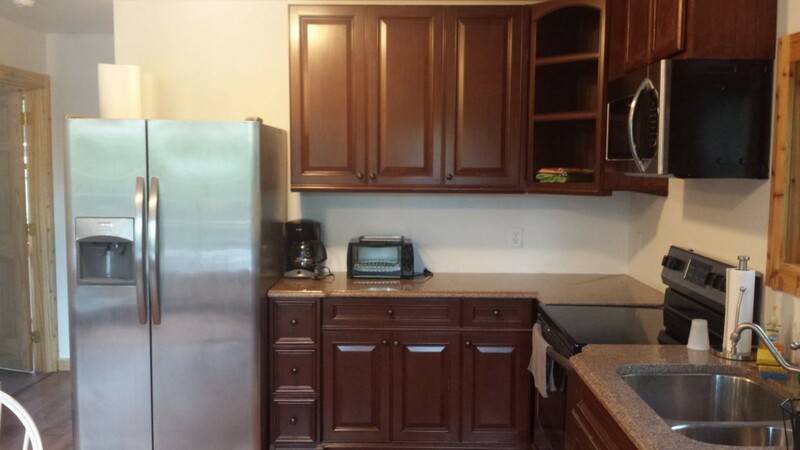 The kitchen is fully equipped and has a breakfast bar. 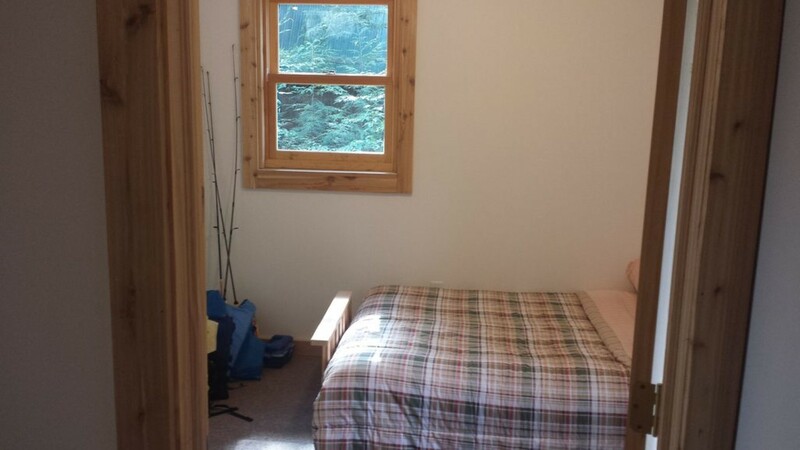 The master bedroom is on the first floor and has a king size bed. 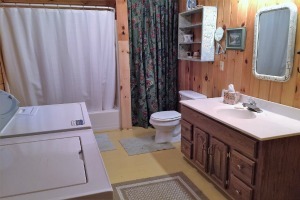 Also on the first floor is a full bath and laundry. 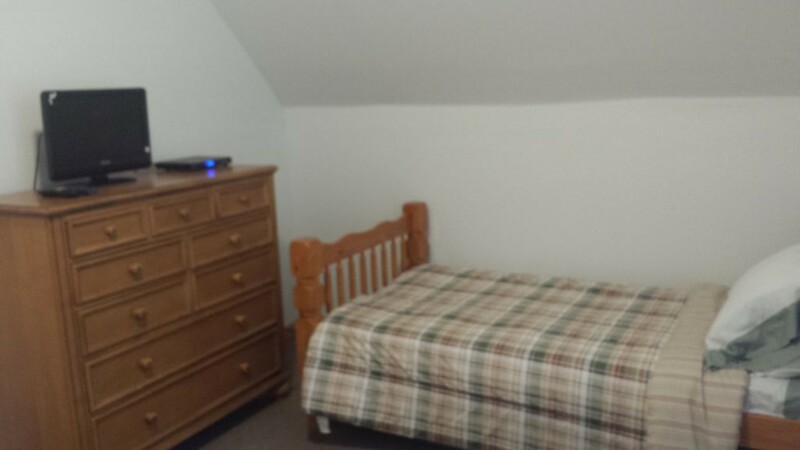 Three other bedrooms on the second floor. 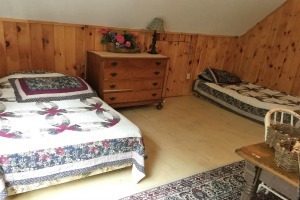 One has a queen size bed, one with two twins and the final bedroom has a double bed and two twins. There is also a half bath on this floor. 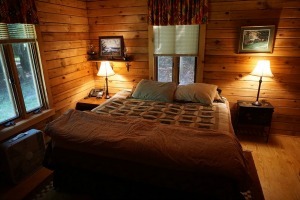 You can sleep 10 people very comfortably. 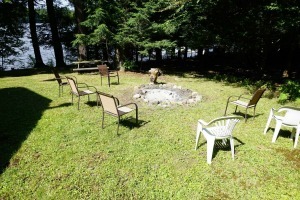 Bring your food and linens and enjoy the beauty of the lake. 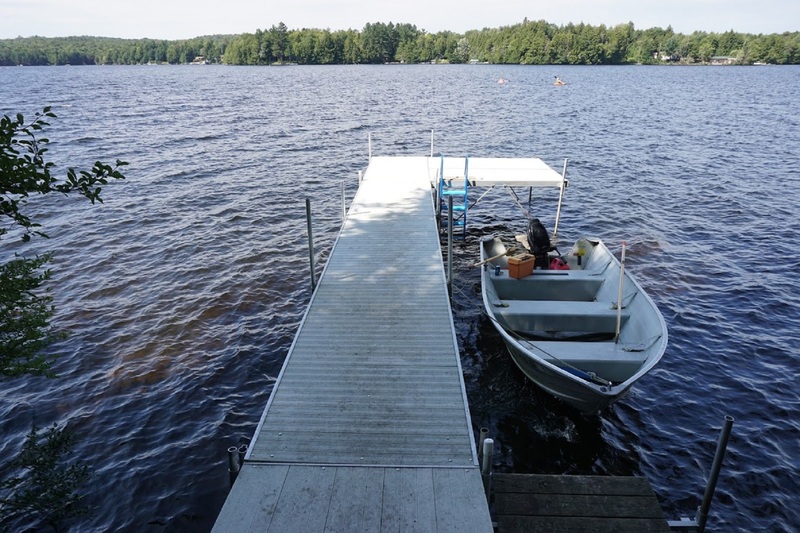 Dock for your boat! 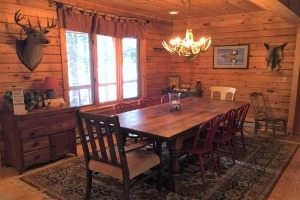 A security deposit of $500.00 is required with your reservation. Weekly Rental is $$2,750. 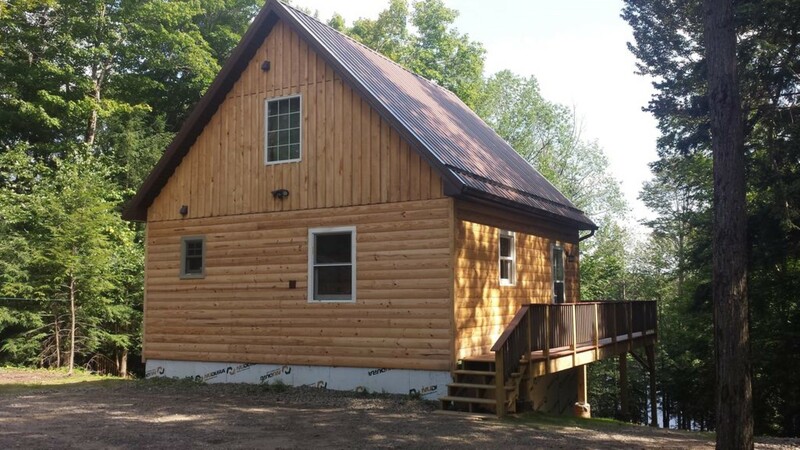 This Log sided camp was built in 2018. 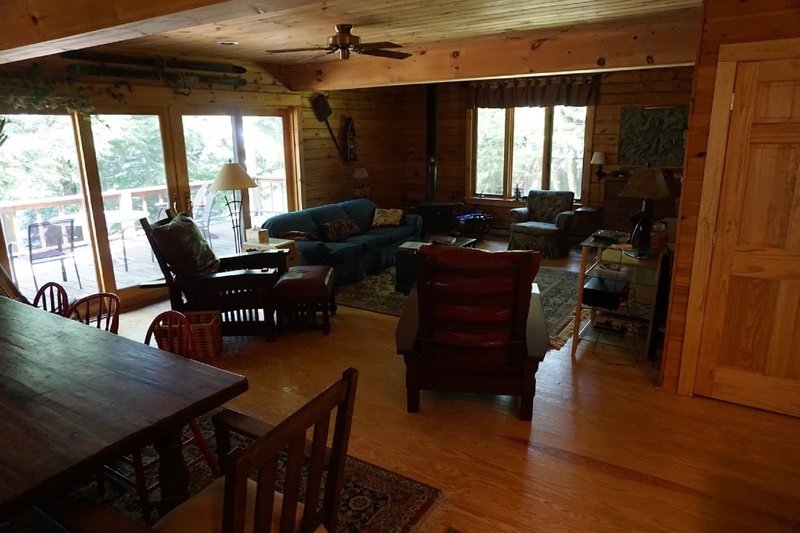 This incredible 3 bedroom home, with wrap-around porch is waiting your arrival. Beautifully appointed and sleeps up to 8. 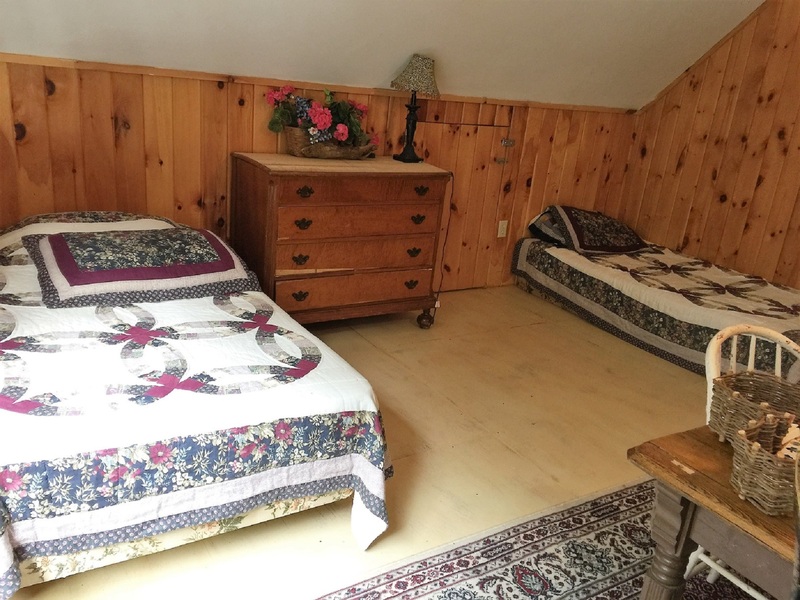 Upstairs there is the master bedroom with queen bed and views of the lake which sleeps 2 and the other upstairs bedroom has two twin beds with two pull out beds which is great for the kids and sleeps 4. 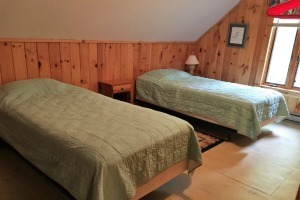 There is a bedroom downstairs with a double bed that will accommodate 2. 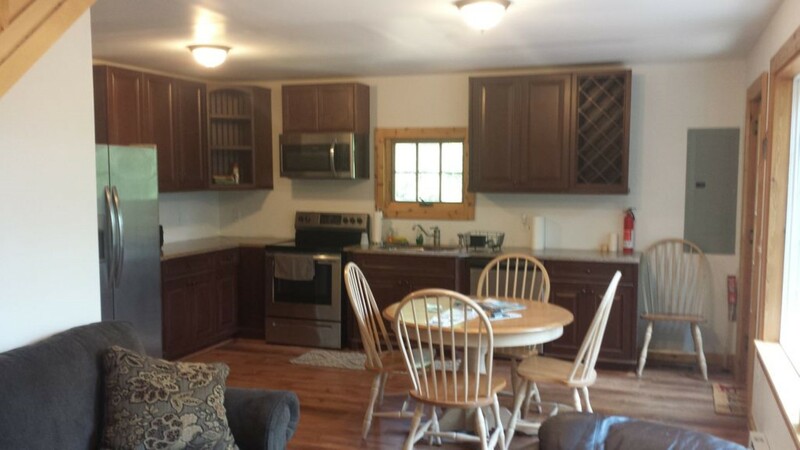 The fully equipped kitchen is open to the dining area and living room and opens up to the outside deck. 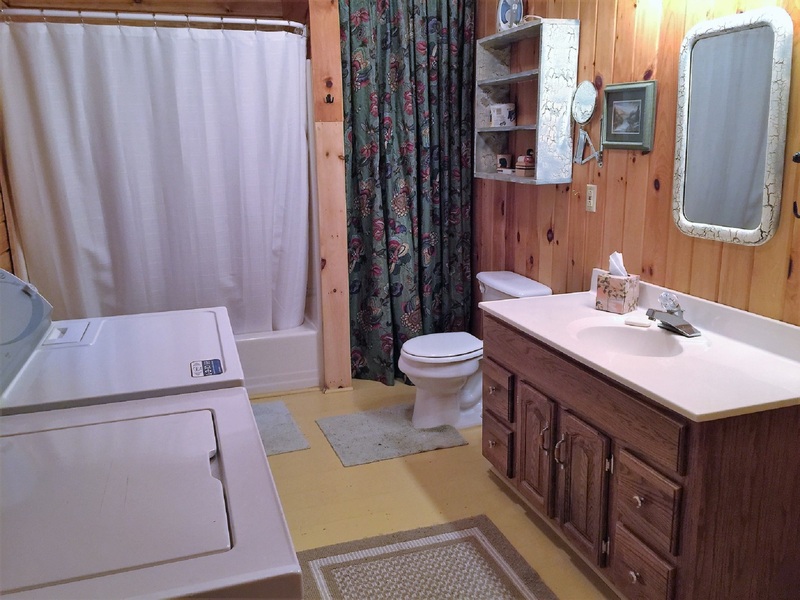 There is a full bath on the first floor and a half bath on the second floor. 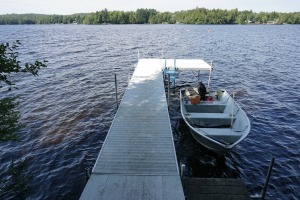 Great swimming from the dock and beautiful lakefront area to relax near the water. 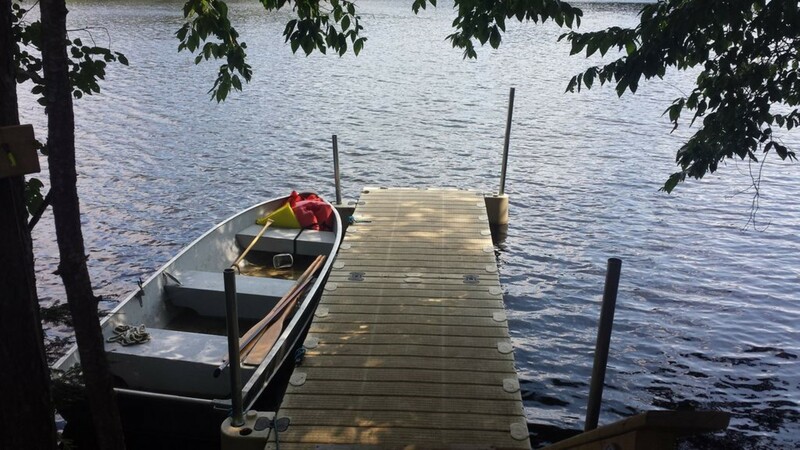 There are row boat, kayaks, canoe and stand up paddle boards for your uses. (The general store in town rents power boats) The camp has high speed internet and cable TV in the living room and all the bedrooms. 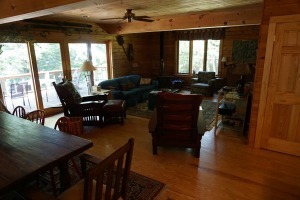 The house comes full equipped with all the comforts of home. 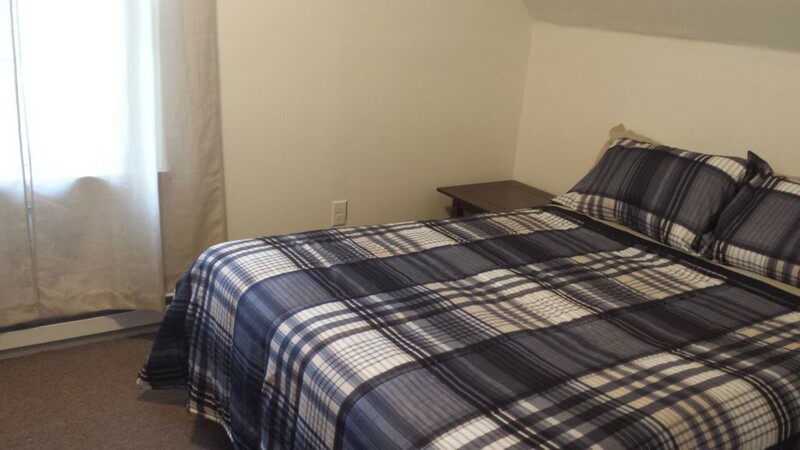 Lines and towels are included and everything you will need for your stay. 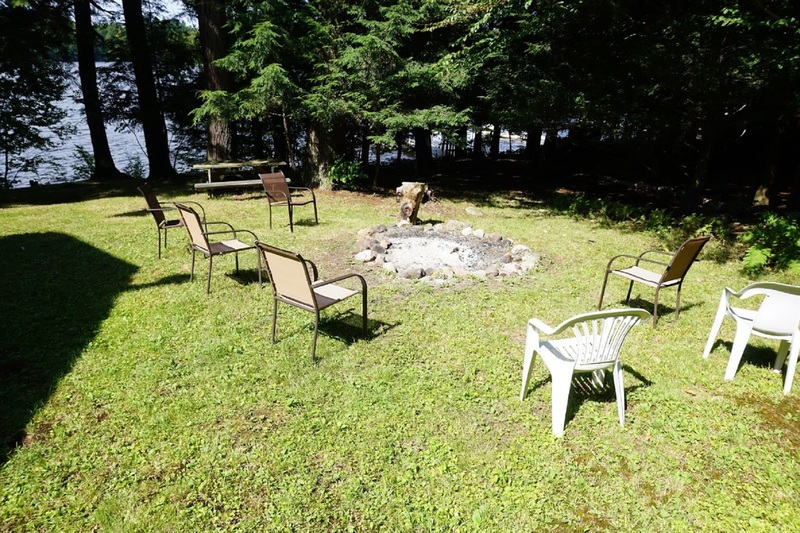 Come and relax, enjoy everything the Cranberry Lake and Adirondack area has to offer. 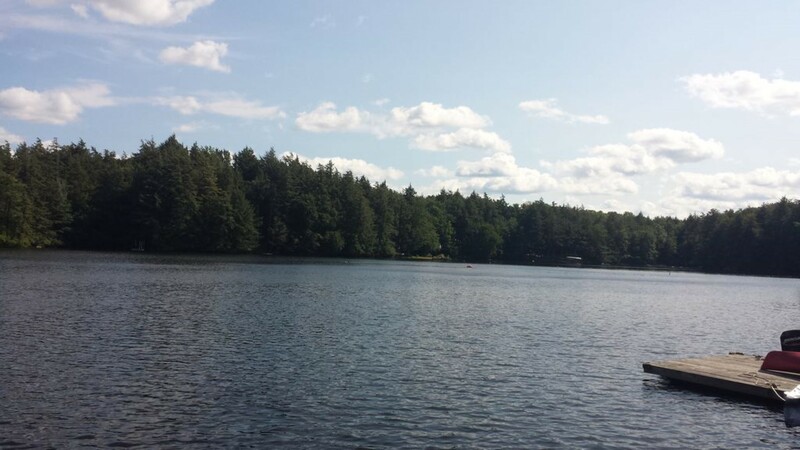 Cranberry Lake is the Third largest lake in the Adirondack with only has 110 of private waterfront camps. Some of the best fishing in the northeast with Bass, Northern Pike and Perch can be caught for your dinner. 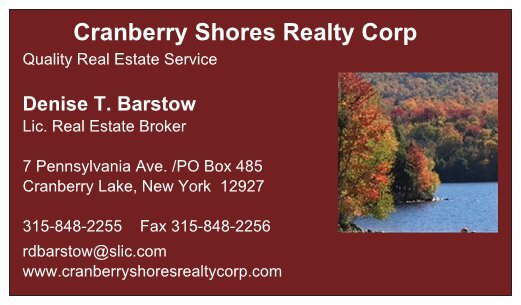 If you are more adventurous, you can pull in at a remote location and hike to numerous sites around Cranberry Lake. 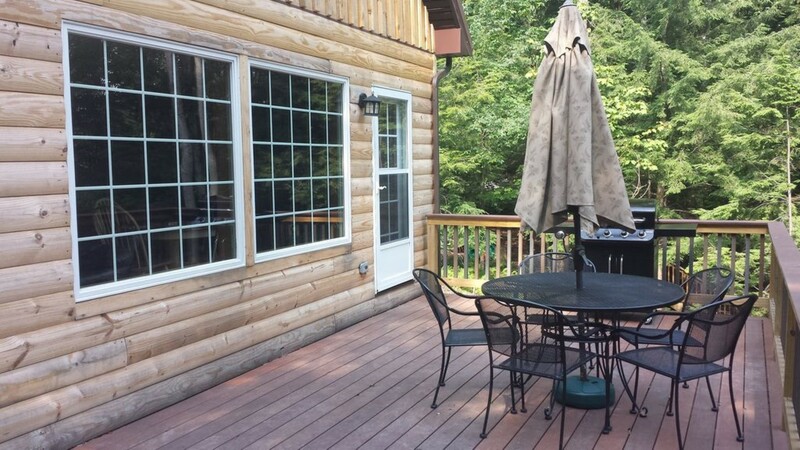 After a day of adventure, return to this wonderful camp and relax on the deck or by the fire pit. 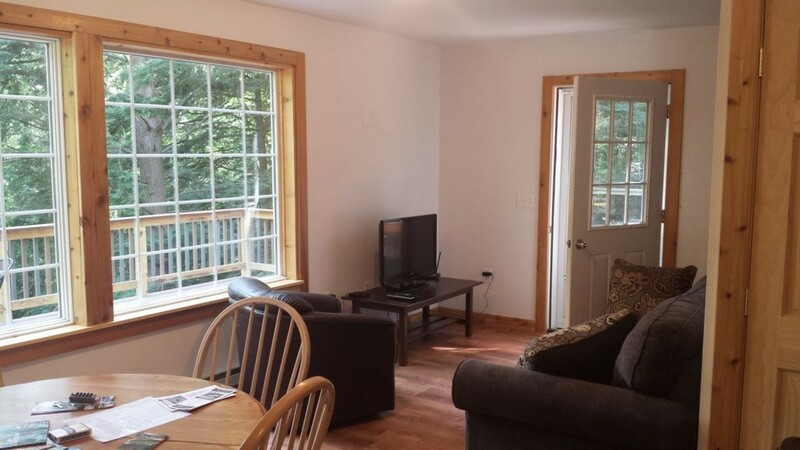 We are approximately 30 minutes to Tupper Lake, where you will find the Adirondack Nature Center. Take the kids to see the Otters and learn about the Adirondack and the animals that inhabit the area. Lake Placid, home of the 1980 Winter Olympics is a little over an hour drive. Book your vacation today. 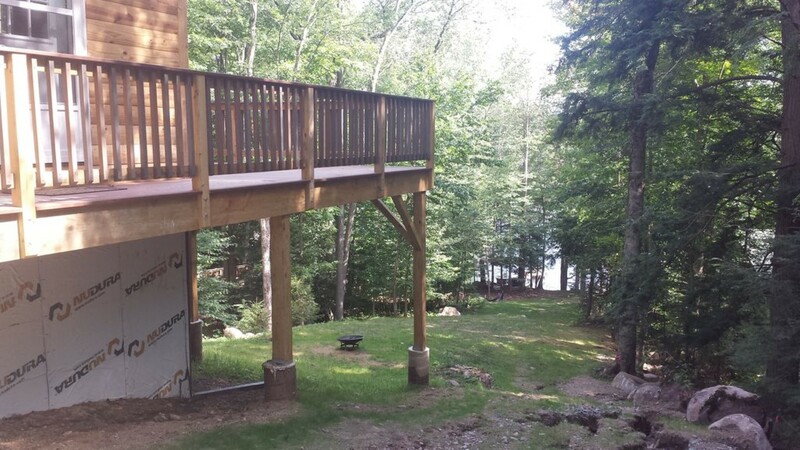 This Adirondack Camp has everything you will need and full cleaning service. All you need to do is come and enjoy one of the most beautiful areas in the Northeast. 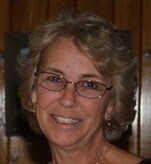 A security deposit of $500.00 is required with your reservation. 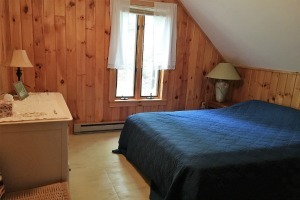 Weekly Rental is $1,750.00 or $300 nightly with a two night minimum.